Pitaloosie Saila’s imagery often focuses on the mother and child image, in which the woman is depicted as strong and nurturing. Birds and animals as well as her own memories have also provided subject matter. 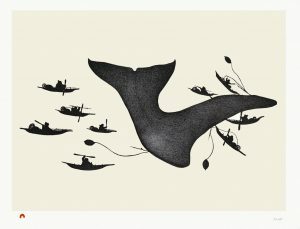 Her bold images lend themselves well to the print medium and her work has been continuously featured in Cape Dorset Annual Print Collections. 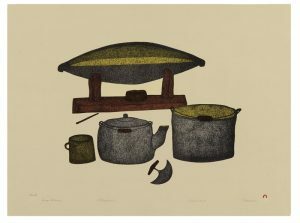 Her lithographs in particular show a full understanding of the potential of this medium in which many of her iconic images were made. 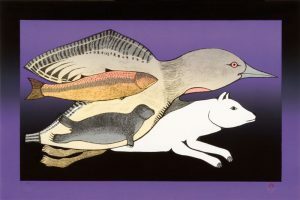 Collection of Inuit Art. Toronto: Art Gallery of Ontario, 1983. Museum. Vancouver: Douglas & McIntyre, 2006. Hessel, Ingo. 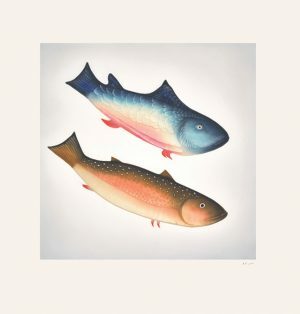 Inuit Art: An Introduction. Vancouver: Douglas & McIntyre, 2002. Leroux, et. al. 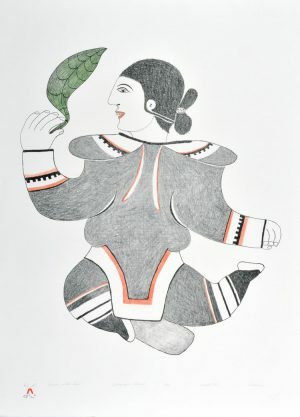 Inuit Women Artists: Voices from Cape Dorset. Vancouver: Douglas & McIntyre, 1996. 2002	Elected as a member of the Royal Academy of Arts at the same time as her husband, Pauta Saila. 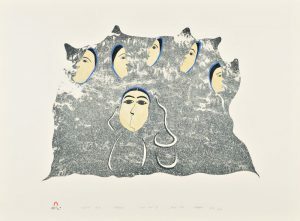 1994	She was one of six artists featured in “Inuit Women Artists”, an exhibition held at the National Gallery of Canada and a major publication. 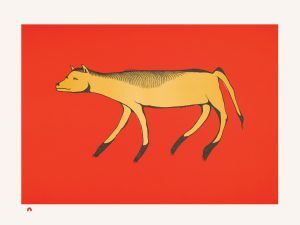 1985	Her lithograph entitled “In the Hills” represented the Northwest Territories in the centennial celebration of the National Parks of Canada. 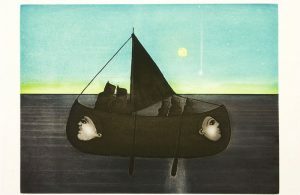 1977	Canada Post issued a stamp depicting her print “Fisherman’s Dawn”.